News 17/4-2019: New Tiny LD are now available for pre-ordering. 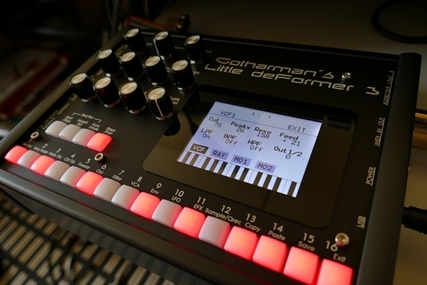 News 15/4-2019: New Little deFormer 3 update that adds chopped keyboard mode are available. 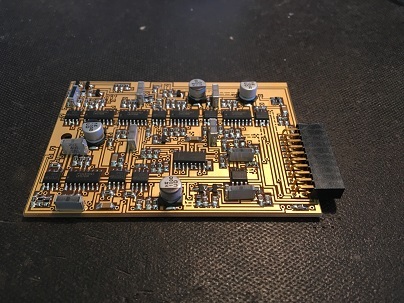 News 11/4-2019: SPAZEboard6 alternative firmware + analog board are now available for LD3. News 7/2-2019: Some more PolySpaze presets are now available. 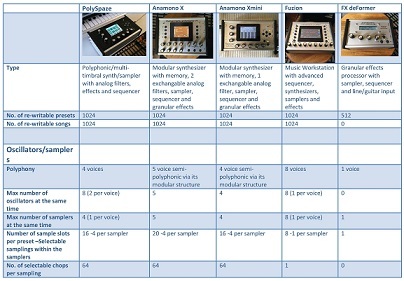 Granular workstation with 16 parts / 8 stereo voices. 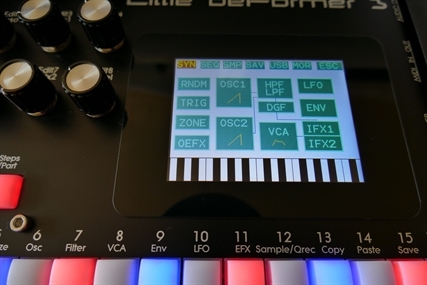 -Each part can be synth, sampler or noise. 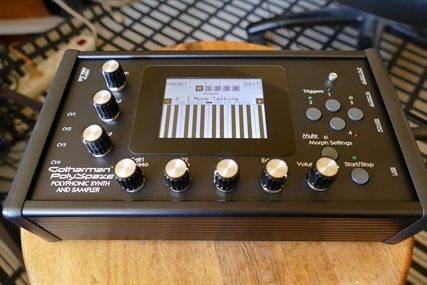 -8 insert effects and 2 output effects. 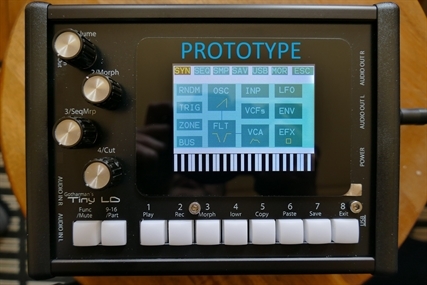 -Polyphonic Sequencer with 16 note tracks and 32 CC tracks. Pre-order Tiny LD and SAVE 10%! Shipping is expected to start in June 2019. First pre-ordered, ships first. Analog filterboard connector for Tiny LD. Can only be ordered together with Tiny LD. LD3 can be configured with various analog options, like analog filterboards, extra audio inputs and outputs, and CV inputs and outputs. Alternative firmware/analog board for LD3. SPAZEboard6 analog board for Little deFormer 3. 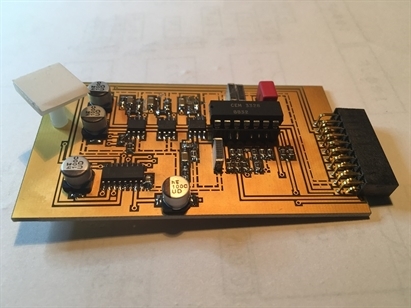 4 separate outputs from VCF 1 to 4, and 4 CV inputs option for SPAZEboard6. Modular synthesizer with memory, exchangable analog filter, sampler, sequencer and granular effects. 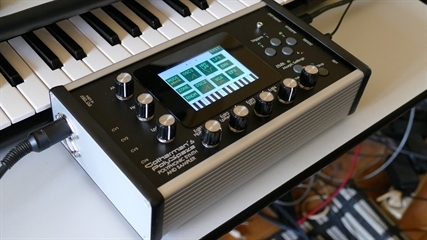 Granular effects processor with sampler, sequencer and line/guitar input. 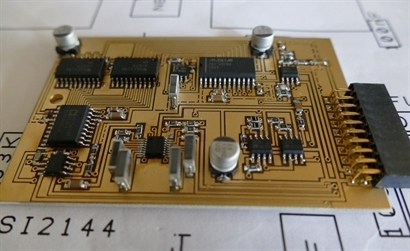 Filterboard for LD3 (with analog board), Tiny LD (with conn.), Anamono X, Xmini and EuroBoard. Single analog filter. LPF, BPF and HPF modes, analog distortion with Drive and analog positive and negative feedback. For Tiny LD, please add "Tiny LD" in the comments (Special connector). Four 24dB resonant filters, two that are switchable between HPF and LPF modes and two that are always in LPF mode. 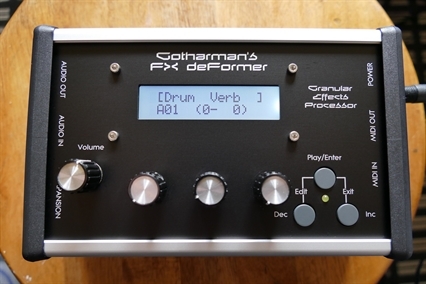 This gives four resonant peaks, and makes this filter ideal for formant sounds. It is also great for bass sounds and a lot of other sounds. 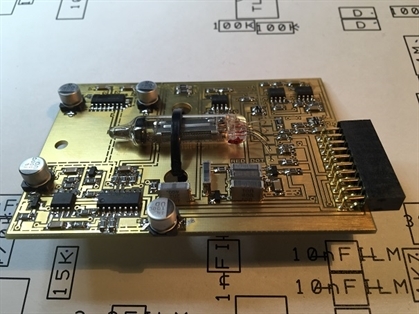 Tube filterboard for LD3 (with analog board), Tiny LD (with conn.), Anamono X, Xmini and EuroBoard. Tube filter with characteristic fat, warm and distorted tube filter sound. Lowpass, bandpass and highpass modes are available. It has negative analog feedback, that can make it sound thinner. 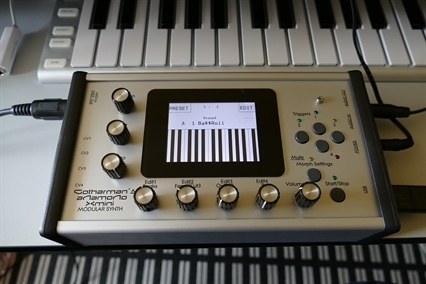 Gotharman's very first analog filter design (1996) modified for anAmoNo X. LPF, BPF and HPF modes, unique sound, analog distortion and analog positive and negative feedback. Trippple analog filter. Output 1/2 mixes between LPF+BPF+HPF and 3xBPF. LPF, BPF and HPF on mix 1 can be switched on and off individually. Dual analog filter. An improved version of the original anAmoNo filter. Filter1: LPF, BPF and HPF modes, Filter 2: BPF, analog distortion and analog negative feedback. Single analog filter. 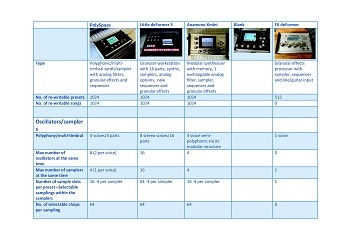 LPF, BPF and HPF modes, analog distortion and analog positive and negative feedback.